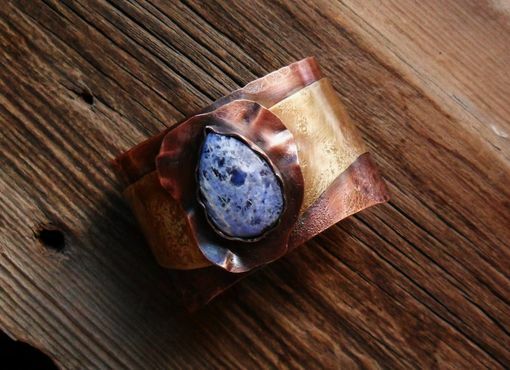 A tear drop shaped blue sodalite stone is cradled in slightly ruffled copper and set on a mixed metals cuff bracelet. 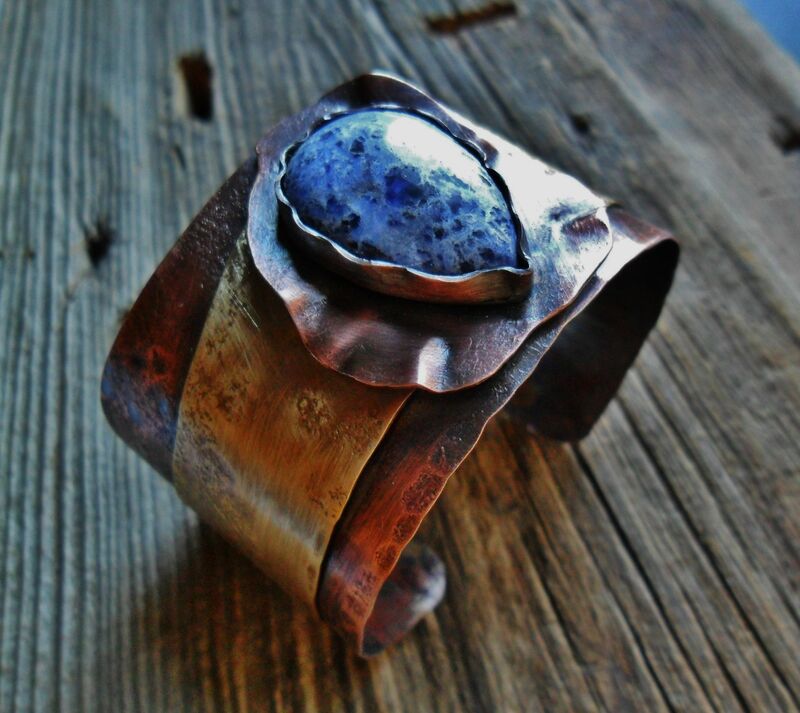 Copper and brass is cut in a gentle wave design then textured and a patina was added to darken the metal. I lightly polished it up to bring out the texture. It is 6 inches long and roughly 2 inches wide. I can change the stone to whatever your preference is, totally your choice.